Every kitchen needs a wooden spoon, but we've added a personalised twist! 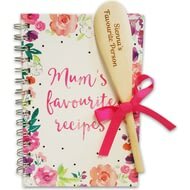 This beautiful notebook which reads: Mum's Favourite Recipes comes with a lovely personalised wooden spoon and is tied with a pink ribbon. 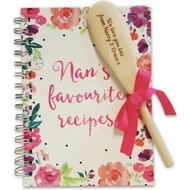 This beautiful notebook which reads: Nan's Favourite Recipes comes with a lovely personalised wooden spoon and is tied with a pink ribbon. Know a budding baker or aspiring chef? This is the gift for them! 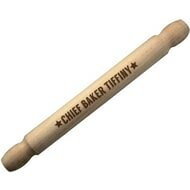 This wooden rolling pin is a staple of most kitchens, but we've added a personalised twist. 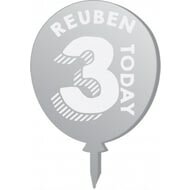 This balloon shaped cake topper features our Simple Number design which is bound to make any birthday cake stand out from the rest!